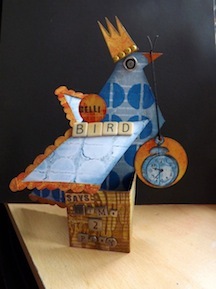 I finished my page – while I had hoped I might use my own handwriting stencil with the modelling paste, the rough and bumpy texture (and the light-weight nature of he crumpled paper-bag pages) made me think it would be a less than satisfactory effort so I opted for paint sponged thru instead. I think it was a wise choice. 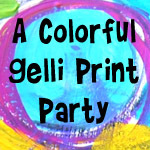 The hearts were “stamped” on using the Gelli plate and a mask. 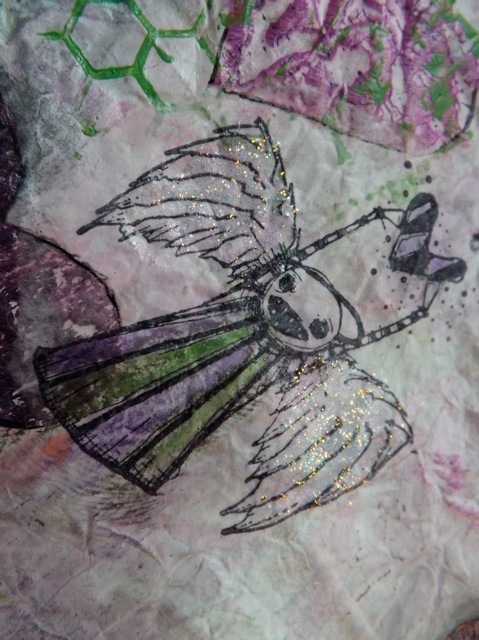 The little angel is a Stampotique stamp, stamped on deli paper then stuck on – I coloured bits of it with the Pitt brush markers then added some Diamond Stickles to the wings. 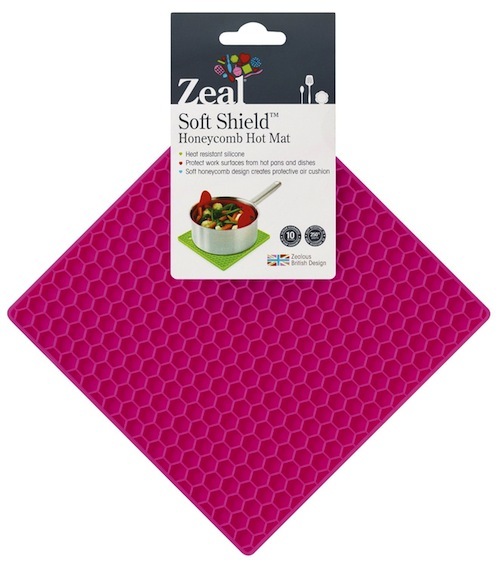 The stamped honeycomb is actually a silicone hot-pad I got from Amazon. 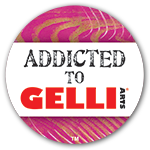 I love that – it’s very flexible so I can get a more organic impression rather than a hard-edged one and the honeycomb is a bit bigger than the stamp I have that’s similar. Tomorrow my ISP is upgrading the connection at the exchange. Not sure what the fall-out will be. DD has a couple of Drs. appts. and skating, and DH is off on site for the day so who knows what WOYWW day will bring for me! I’ll have to switch to the other internet connection for at least part of the day but the way DD thrashes that, I expect we are close to our monthly limit – they might throttle me, slowing me down to a crawl. With luck it’ll be DHs first task when he gets back to reconfigure the router so I can desk hop but you may not see me till Thursday…. 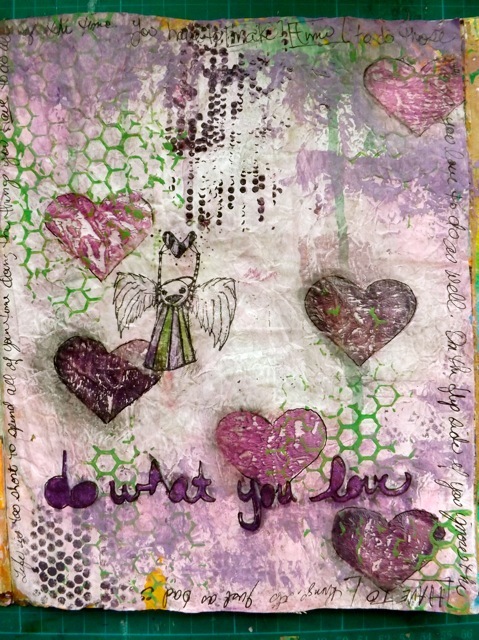 I love the honeycomb 🙂 Wonderful art journal page!